Photo excerpted and recipe adapted, with permission, from Dining In by Alison Roman (Clarkson Potter, 2017). 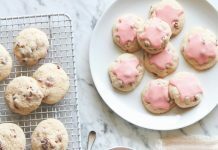 Alison Roman, a cook, writer, and author of Dining In (Clarkson Potter, 2017) shares her Salted Butter and Chocolate Chunk Shortbread recipe—the cookies that everyone’s baking. 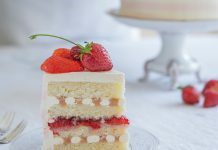 Find out why and bake them for yourself! I’ve always found chocolate chip cookies to be deeply flawed (to know this about me explains a lot). Too sweet, too soft, or with too much chocolate, there’s a lot of room for improvement, if you ask me. But no one asked me, and rather than do a complete overhaul on the most iconic cookie known to man, I took all my favorite parts and invented something else entirely. Made with lots of salted butter (it has a slightly different flavor and a deeper saltiness than using just salt—I prefer unsalted butter everywhere else but here), the dough has just enough flour to hold it together and the right amount of light brown sugar to suggest a chocolate chip cookie. The chocolate is cut into chunks to prevent chip congregation, and once the dough is formed into a cylindrical log, the whole thing gets rolled in Demerara sugar for the crispiest-ever edges. Less chocolate chip cookie, more brown sugar shortbread with chocolate chunks— they just might be the cookie you’ve been looking for. Slice each log into ½-inch-thick rounds. Place them on the prepared baking sheet(s) about 1 inch apart (they won’t spread much), and sprinkle with flaky salt. Bake until the edges are just beginning to brown, 12 to 15 minutes. Let cool slightly before eating them all. If you find it tragically annoying to buy salted butter just for this recipe, you can use unsalted butter and add ¾ teaspoon kosher salt to the flour. DO AHEAD: The cookie dough can be made ahead and stored, tightly wrapped in plastic, up to 1 week in the refrigerator, or 1 month in the freezer. Cookies can be baked and stored in plastic wrap or an airtight container for 5 days. I have made these twice after seeing the recipe on Smittenkitchen.com. I used imported salted butter and good quality chocolate, sanding sugar, and Maldon sea salt. They are terrific! There are many chocolate chip cookie recipes out there but THIS recipe is superb! The chocolate chunk / shortbread combo is FANTASTIC! The first batch I made were gone in an instant – now prepping a batch of dough to store in the freezer so that I can have ready on a moment’s notice! I made these for my son who came home from college last week. He loved them and so did we. I think this is the best cookie recipe ever. I make traditional Scottish Shortbread cookies every Christmas using my Scottish great grandmothers recipe. 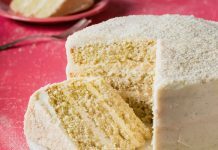 This old family recipe consists of only three ingredients, butter, granulated sugar and flour. I have added chocolate chips to this receipe and they were very good. 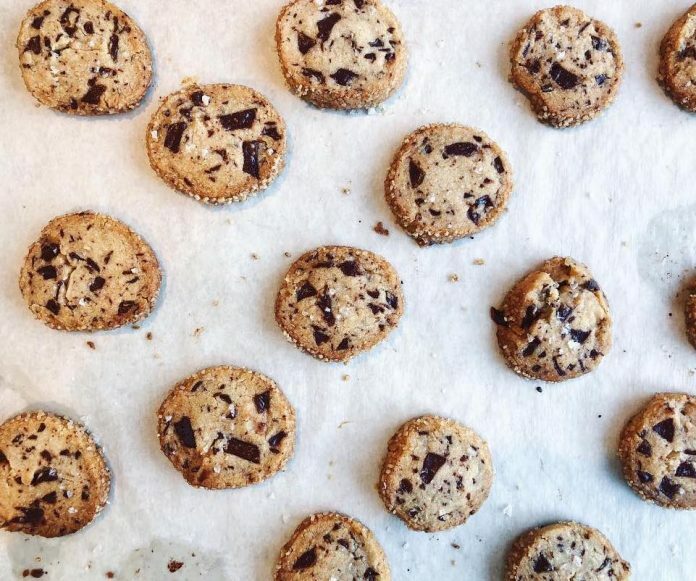 This recipe is just a variation of the toll house chocolate chip/chunk cookie. I just made these and they are wonderful. One thing though, I found it really difficult cutting them into 1/2 thick cookies (I froze them overnight and the logs are HARD). Any tips on cutting them. I got really frustrated and almost gave up because the cookie pieces kept on crumbling or splitting on me! thank you for reaching out! We are sorry you had issues with this recipe. It may be because you froze them overnight. We suggest only chilling them for 2 hours- this will lend to a softer dough to cut. Happy Baking! Do you bring the butter to room temperature? Thanks! Hi Barb, thank you for reaching out! Yes, we always bring the butter to room temperature and recommend you doing the same. Happy Baking!